This exhibition was featured in the Pittsburgh Post-Gazette: "When Dreams are the Color of Paper Bags"
This exhibit spans two buildings. You will find Ashley’s work in both the Art Works and the Tulip Buildings. 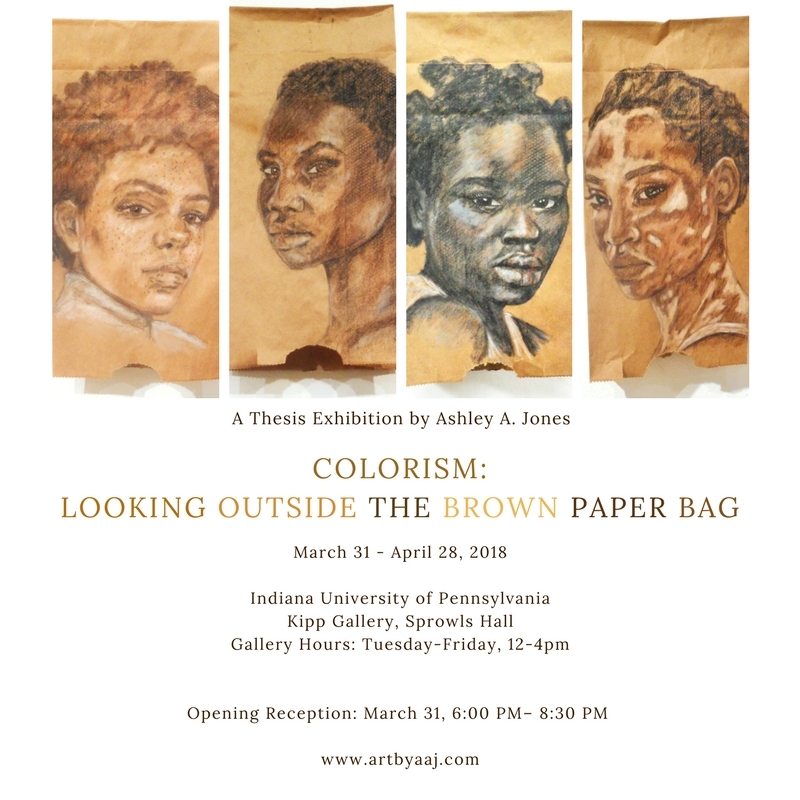 Our Color Theory is a series of paintings about African-American women’s skin color and identity.